Process Hacker allows you to copy data by simply pressing Ctrl+C.It is open source application and can be modified or redistributed. This most popular now supports the Microsoft’s latest operating system i.e Windows 8. Can’t edit or delete a file? 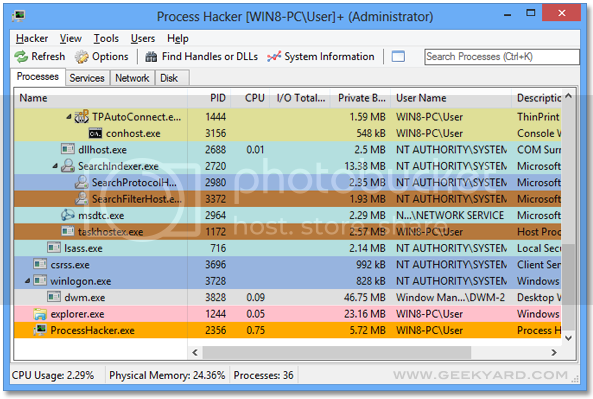 Discover which processes are using that file.